Stephanie, author of the blog, Mammamoiselle, is a teacher, turned stay-at-home mamma to an active one year old! She is thrilled to be guest blogging here at Simply Stacie – helping spread awareness for this important topic. Recently, a former co-worker of mine was involved in a car accident with her 16 month old in the car. Fortunately, everyone was okay –- but to their horror, they learned that the car seat had not been properly installed. They were extremely lucky and their experience was a wake up call to me. As my husband and I get ready to upgrade my son’s infant carrier seat to a larger car seat, we now realize the importance of doing our research on this very important topic. A lack of knowledge about child seat safety can have tragic or near-tragic results. The estimates are that 4 out of 5 child safety seats are improperly installed! Combine that with further statistics about the increased risk of severe injury when a child seat is improperly installed and it is frightening. I’m not an expert in child seat safety, nor do I claim to know the best information out there on it. What I do know is this: All parents should research child safety seat laws/guidelines and consult with experts to ensure the safest travel in vehicles for their children. My goal is to encourage all parents to seek out the best and most accurate information. Is your child seat the best for your vehicle? If not, what would be the best fit for the type of vehicle you have? There are seats that are not good fits in certain cars. Always keep the box and receipts for any seat you purchase so that returning it is easier. Some stores will even allow you to “test” out the fit in your car before purchasing (this may help you choose a good fit, but does not replace an inspection by a certified technician). Rear-facing or forward- facing? There is a difference in safety and many parents turn their children to a forward facing position too soon! This can be a big compromise in safety. Be sure to find out the age/weight limitations for forward-facing travel and what your own seat’s limits are. Proper Installation Procedure: What is LATCH? If you have the LATCH anchors in your vehicle, learn how to properly use them. Make sure you know what both your car and car seat manufacturer recommend for installation and then find a certified technician to check your installation. Use of booster seats: When should a child graduate to a booster? Many parents do not realize that their older child still needs the use of a booster once graduating from a car seat. What are the age/weight guidelines for this? Child safety seats during travel: What are the best child seats for use on airplanes, travel, taxis, limos, etc. Child Safety Seat Inspections : Learn about free resources in your area to have your child safety seat inspected by a certified technician. They can help you determine if your seat is appropriate for your vehicle and if it is installed correctly. In the US, you can find your nearest inspection station on the National Highway Traffic Safety Administration Page or a search of Certified Car Seat Inspections should yield you some information as to where to go or who to contact in your area. Great information on everything you need to know and has a comprehensive set of links. Has forums, information, reviews, ratings and advice. Provides private instruction and installation in NYC/Baltimore areas but their website is a wealth of information no matter where you live. You can also check with your child’s pediatrician/GP/hospital to see what they recommend. They may also be able to point you in the right direction as to resources in your area. The above information is only suggested and is not intended to replace information on local laws/guidelines for your area and from experts in car seat safety. 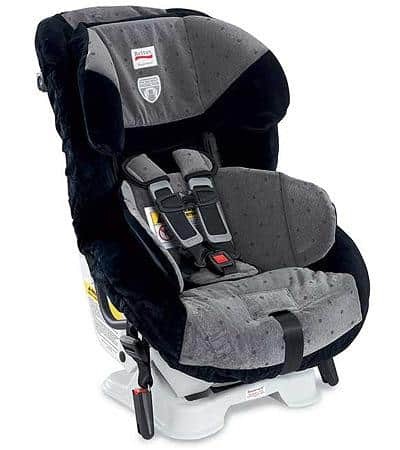 Parents should conduct their own research and consult with experts in the field to ensure proper usage and installation of child safety seats.. You should always have your child safety seat inspected by a certified child safety seat inspector and know your local/state laws and guidelines.